1. Did you have a favorite Competition this year? Why? 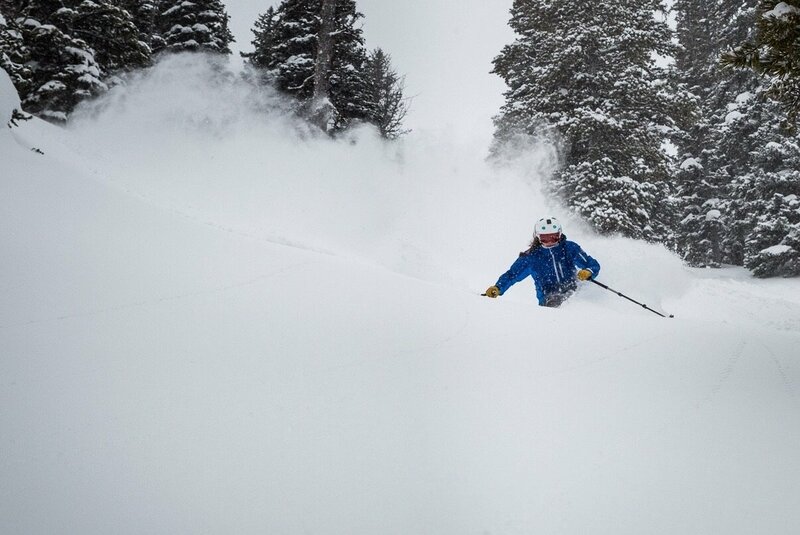 My favorite competition this year was the Kings and Queens of Corbet’s event at Jackson Hole Mountain Resort. This year was the first time they hosted the event, and it was an unforgettable experience. From the park crew making sure Corbet’s was in perfect condition for us, to the sponsors getting all the possible camera angles. It was a surreal event to be able to ski along side some of my biggest idols in the sport and having my closest friends cheering me on at the bottom. The event was run flawlessly and I can’t express how thankful I am I got to participate in this competition. 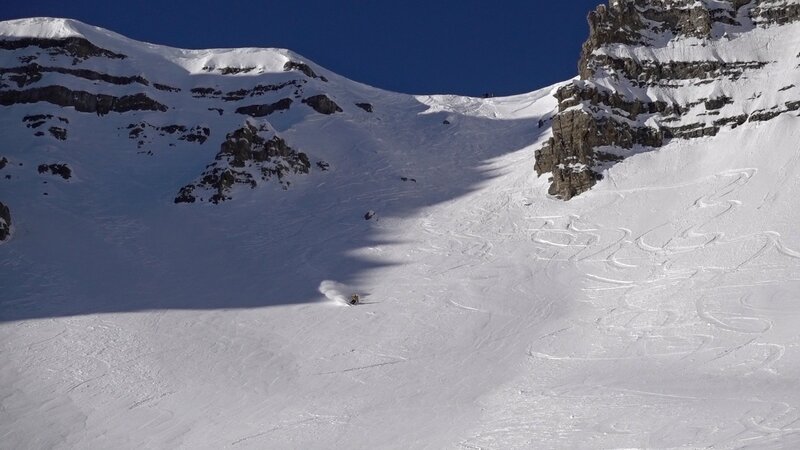 Just to clarify, this was not a Freeride World Qualifier event, and in no way affected my points towards trying to qualify for the Freeride World Tour. The fact that this event did not affect my ranking and that this competition was self judged by the athletes, allowed us to be creative and do whatever made us feel excited. Without the worry of judges or points, I was able to truly push myself and try something I never would have otherwise. 2. What was your proudest moment from this season? 3. 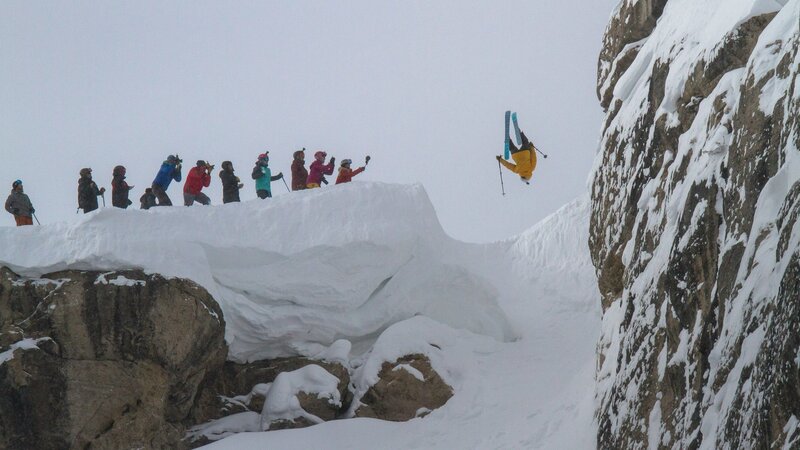 Does your mental process and approach change between competing and freeskiing? This season I had trouble skiing to my full capabilities in the Freeride World Qualifier competitions. I realized I was so concerned with making my skiing look good for the judges, that I would actually be holding back. I would end up skiing at about 70% of what I normally do. When I’m just freeskiing — since I treat it as training — I’m always pushing myself to ski faster and go bigger. So a lot of the time I end up skiing better when I’m freeskiing than I do in competition. It would be much better for me to approach competing and freeskiing with the same mental process and that’s something I hope to work on more next season. 4. How was your training beneficial for your ski season? The ski fit program I did in the fall at Wright Training was unbelievably helpful to my skiing this season. In past seasons, it would take me a good chunk of time in the early season to get back into skiing shape — this year, my muscles felt ready to go as soon as the resort opened! I also credit my lack of injuries to all of the pre-season training and maintenance work during the season. This year I took some pretty big crashes, but was lucky enough to come out without any injuries (*knock on wood*) and I truly believe that’s due to the strength I built in ski fit. 5. Do you have plans or goals for next season? 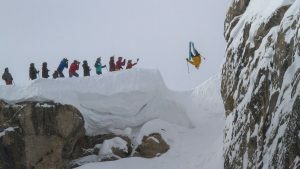 While I still loved going to the FWQ events this year, I’m not sure it’s the best way for me personally to progress as a skier. Since I found that I ski best when I’m freeskiing and filming with friends, next season I hope to focus more on filming. I believe this new focus on filming will help me to continue to push my limits skiing and work towards being the best skier I can be. I also hope they decide to make the Kings & Queens of Corbet an annual event, as I’d love to give it another go! 6. What are you going to do this Spring/Summer? This Spring I’ll be skiing in the backcountry as much as I can until all of the snow melts away! This summer you can find me mountain biking and hiking all over Jackson, but I’ll also be working as a raft guide for Sands Whitewater. Come take a trip down the river with me!